For now, the seven life convicts in the Rajiv Gandhi assassination case which includes four Sri Lankans, will remain in Vellore Central Prison in Tamil Nadu, as a five judge Constitution bench of the Supreme Court today ruled that the Tamil Nadu government headed by J Jayalalithaa could not have unilaterally granted them remission. However their fate of V. Sriharan alias Murugan, Santhan, Robert Pious and Jaya Kumar (Sri Lankan nationals) female convict Nalini, Ravichandran and Arivu (Indians) will be decided by a separate three judge bench to which the matter has now been reverted to. A five judge Constitution bench headed by Chief Justice H L Dattu said since the case was probed and prosecuted by the Central Bureau of Investigations, a central agency, the decision should not have been taken without the “concurrence” of the Central government. Interpreting Section 435 (2) of the CrPC, the judgment authored by Justice F.M.I Khalifulla held that the word 'consultation' means 'concurrence'. This means that TN Govt should have got the prior consent of the Centre before issuing its February 19 order to remit the sentences. 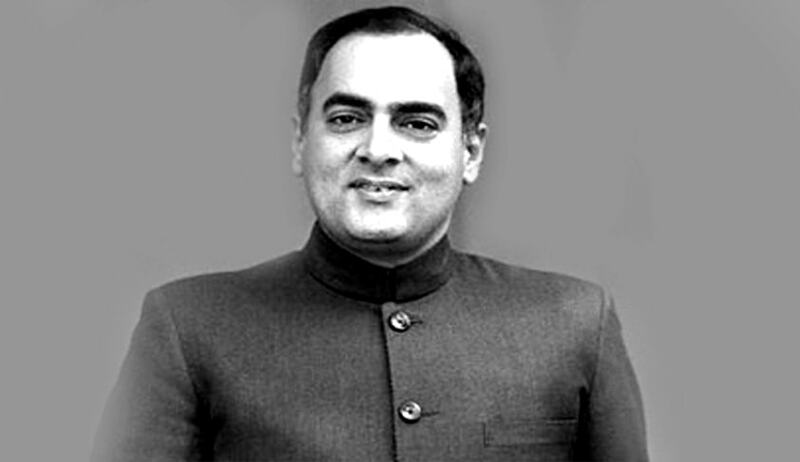 After laid down the law, the Constitution Bench however referred to a three-judge bench to separately decide the factual question of whether the February 19 order issued by the Tamil Nadu government releasing the Rajiv Gandhi killers was correct or not. A three-judge Bench led by then Chief Justice of India P. Sathasivam had prepared a set of seven questions for the Constitution Bench to declare the law on. Justice Sathasivam had said they were “complex question of law which a larger bench should decide”. Does imprisonment for life in terms of Section 53 read with Section 45 of the Indian Penal Code mean imprisonment for the rest of the life of the prisoner or a convict undergoing life imprisonment has a right to claim remission? Can a special category of sentence be made for the very few cases where the death penalty might be substituted with imprisonment for life or imprisonment for a term in excess of 14 years and can that category be put beyond the application of remission? Is the ‘appropriate government’ permitted to exercise the power of remission under Section 432/433 of the Cr.PC after parallel power has been exercised by the President under Article 72 or by the Governor under Article 161 or by this court in its constitutional power under Article 32 as in this case? Does Section 432(7) of the Cr.PC clearly give primacy to the executive power of the Union and exclude the executive power of the State where the power of the Union is co-extensive? Which has primacy, the Union or the State, over the subject matter in List III of the Seventh Schedule of the Constitution for exercise of the power of remission? Can there be two appropriate governments in a given case under Section 432(7) of the Cr.PC? Is suo motu exercise of the power of remission under Section 432(1) permissible? If, yes, is the procedure prescribed in the same Section mandatory or not? Does the term “consultation” stipulated in Section 435(1) of Cr.PC imply concurrence? Justice Sathasivam led bench had on February 20, 2014 stayed Jayalalithaa's controversial move to free the convicts, observing that "there was an elaborate procedure for remission of life sentences which the government appears not to have followed". It all began on February 18 last year when the apex court commuted the death sentences of Santhan, Murugan and Perarivalan to life sentences in view of the delay in deciding their mercy pleas and left it to the "appropriate government" to consider granting them remission. Jayalalithaa seized the opportunity and announced that she would release all seven convicts. The other four are Nalini, Robert Pious, Jayakumar and Ravichandran, who are serving life sentence. Appearing for the Centre, then Solicitor General under UPA government Mohan Parasaran had argued that the Centre believed the state's "hurriedly taken decision" was without authority" and was "not legally tenable". He said the Centre was the "appropriate authority" to decide on remission as the convicts were prosecuted by the CBI. "We are not taking away or underestimating the power of a state government to remit sentence. But all states have to follow a certain procedure which has been laid down," CJI Sathasivam told the Tamil Nadu government's lawyer when he pleaded the court not to pass any order on staying the release of the prisoners. To Tamil Nadu's argument that it had followed all the requisite procedures and it "only had to consult the central government which it had done and did not have to take the consent", the CJI Sathasivam had retorted: "That is why we are keeping the petition for detailed hearing. We have to interpret the point of law raised." The Centre's petition said: "State is not an appropriate authority to take a decision on the remission of sentence in this case and the Tamil Nadu government has thrown statutory safeguard to the winds. The statutory safeguard under the CrPC has been completely thrown to the winds. Since the state government is not the appropriate government, Section 435 CrPC (consulting the Centre) does not apply and the process of consultation has been reduced to an empty formality". After the government changed, the new NDA government also took the stand that the convicts deserved no mercy. “Our former Prime Minister was killed in a conspiracy hatched outside this country in which foreign nationals were involved and the conspiracy was executed by these convicts. What mercy is to be seen or shown? This is to be looked by you,” Solicitor General Ranjit Kumar told the constitution bench. Read LiveLaw Coverage about the case here.